Photography is fraught with cliches. You couldn’t get through a day without re-creating most of them. 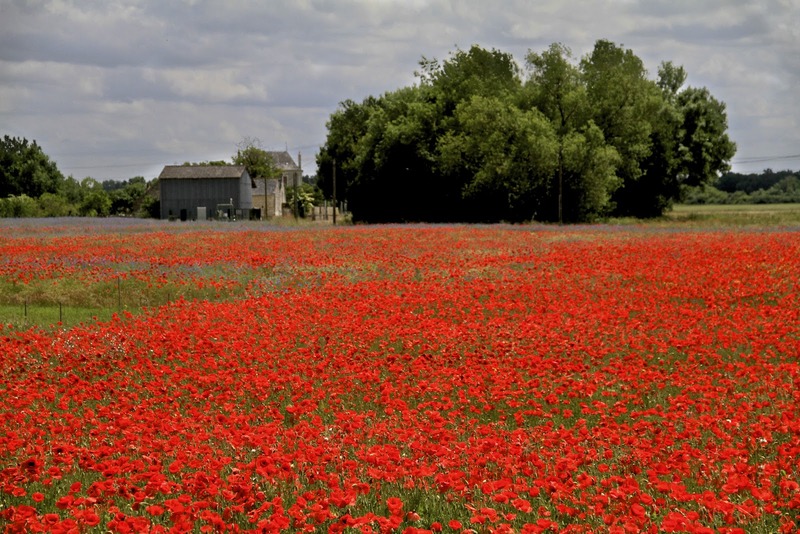 Even so, I’m in France, in a field of poppies and I stand awe struck and think, why not? I’m guilty as charged when it comes to romanticising the natural world. Even though I don’t enhance or photoshop at all. (I’m waiting until at least my seventies before I sit down to master that.) But maybe it’s just how I want to focus on the world and what’s in front of me? That for me a love of the natural world and the time to enjoy it came later in life and so it all moves me as if I’m experiencing it all for the first time? These poppies appear to be bleached out with light and I struggle to adjust to a much lighter palette here. They are moist with dew drops in the early morning. They spread as far as the eye can see and mingle into a swathe of wild Irises in the distance. There are heavenly moments in photography. When everything surrounding it overwhelms the senses. The colours, the scents, the lasting impressions. These feelings live on in the images captured in that moment and can bring me back in an instant to a dewy morning in Le Val de Loire. It is impossible to describe with words how stunning those images are to me. It is as if you can experience seeing, and it brings feelings, and neither the seeing nor the feeling can be described, just experienced. I'm so glad you gave in and took these gorgeous images! What a wonderful way to start a day … thank you! Thank you Susan! Yes I keep giving in!! 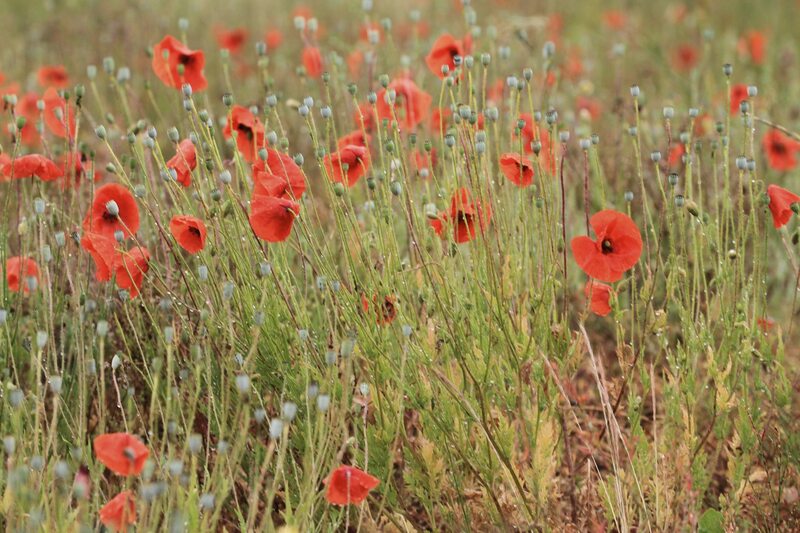 A field of poppies must be one of the loveliest sights in the world. The colour gives such a lift to the spirits – beautiful photographs. So true!! These images take me right back there……to that glow…. Ah thanks…..yes it's great when a bee buzzes into shot isn't it! OH my….how could you have ever left this amazing beauty!?! Thanks for the site you connected us to on Monet etc. I'll be digging into that one for hours! ha! I love Monet too…one of my favorites. After you left you must have been seeing that field for days in you mind! Wonderful! The bee and you, both looking for sweetness. 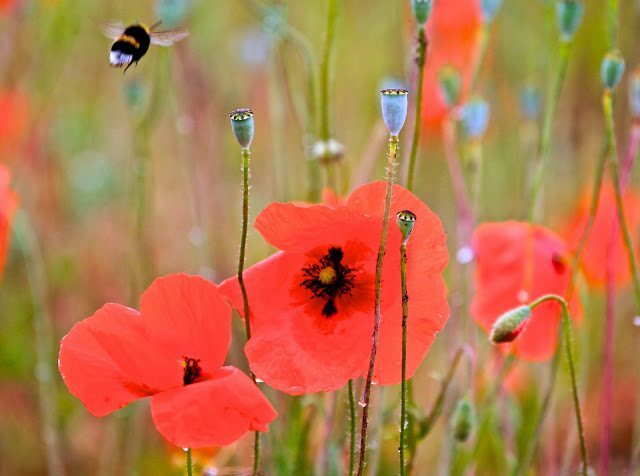 Did you think that very thing when you saw the bee driven to the poppy? 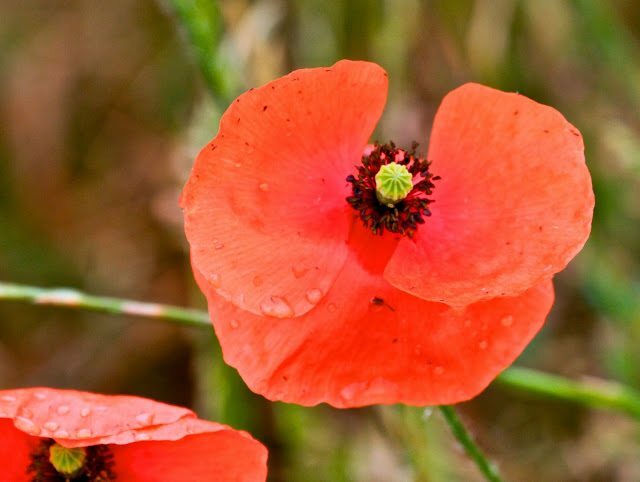 Catherine you took my breath away with these images as I imagine seeing these poppies in person took your breath away too! Facinating images! It's like being in a dream .. or a painting. Such a gorgeous red. 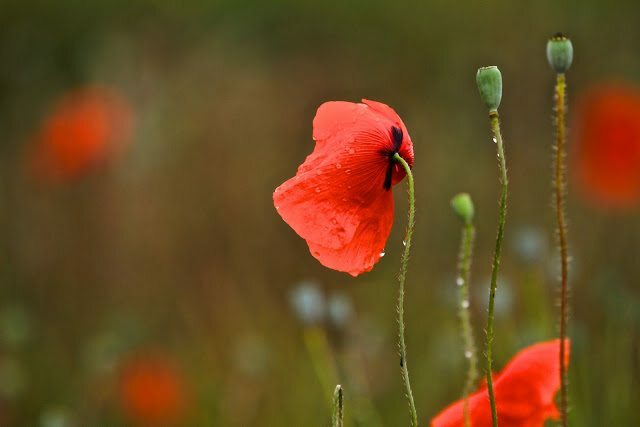 I love the beautiful poppies and poppy, red boxes. Greetings.